Oppo R15 Pro VS Vivo X21 UD: Specs Comparison. Oppo has been doing great in the smartphone market. In 2016, the Chinese company were the top smartphone brand in china. And were also ranked fourth worldwide in that same year. They recently released the Oppo R15 and R15 Pro into the market. 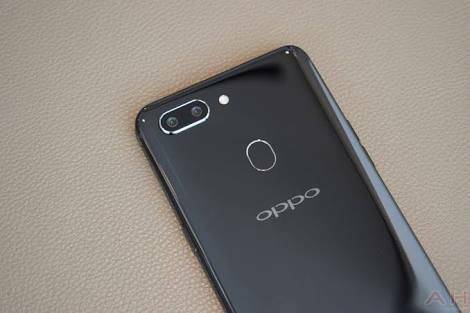 In china, “the Oppo R15 Pro” is rather known as “the Oppo R15 Dream Mirror Edition”. Just like Oppo, another Chinese company Vivo released a Pro version of Vivo X21 called “the Vivo X21 UD”. I already did a specifications comparison between the Oppo R15 and Vivo X21. This time around we would be looking at the Pro or advanced version of both smartphone. They both offer trending features in the smartphone market especially the impressive AMOLED capacitive touchscreen. The Oppo R15 Pro comes with a glass front, aluminum frame and a ceramic back. While the Vivo X21 UD comes with just an aluminum body with a front glass. The Vivo X21 UD is lighter in weight (156.2 grams) compared to the Oppo R15 Pro (175 grams). Just little difference in dimensions of both phones. The Oppo R15 Pro measures 7.5 mm slim while Vivo X21 UD meaures 7.4 mm. The Oppo R15 Pro features a rear fingerprint sensor. While the Vivo X21 UD doesn’t. Instead, the fingerprint sensor of the Vivo X21 UD is under the display screen. Hence the name UD (under display). Both device are available in only two color variants. Black and Ruby Red for Vivo X21 UD. And Ceramic Black and Dream Mirror Red for Oppo R15 Pro. The dual rear camera of the Vivo X21 UD is in a horizontal position. While on the Oppo R15 Pro, the dual rear camera is in a vertical position. Both phones are not water/dust resistant. Vivo X21 UD features better touchscreen than the Oppo R15 Pro. Which is the only major difference between them in this category. The Oppo R15 Pro sports an AMOLED capacitive touchscreen. With a 6.28 inch screen size and 84.9 screen-to-body ratio. While the Vivo X21 UD features a Super AMOLED capacitive touchscreen. With a 6.28 inch screen and 85.2% screen-to-body ratio. Both smartphone have a display resolution of 1080 x 2280 pixels. With the Oppo R15 Pro having a 401 ppi density. And Vivo X21 UD with a 402 ppi density. The screen of the Oppo R15 Pro is protected with a Corning gorilla glass 5. The Oppo R15 Pro sports a higher camera quality to the Vivo X21 UD. There is a reason the Oppo R15 Pro is called “Dream Mirror Edition” in China. The smartphone features a dual 16MP f/1.7 aperture and 20MP f/1.7 aperture rear camera with LED flash. And a 20MP f/2.0 front camera with rumoured AI smart and wisdom beauty. The Vivo X21 UD comes with a dual 12MP f/1.8 aperture and 5MP f/2.4 aperture rear camera with LED flash. And 12MP f/2.0 aperture front camera. Coincidentally, both smartphone features the same operating system (OS), Chipset, Central Processing Unit, Graphics, Processing Unit, Random Access Memory (RAM) and the same Internal Storage. They are powered by Qualcomm Snapdragon 660 chipset with Octa-core 2.2GHz processor. And runs on Android 8.1 Oreo. With a 128GB internal storage that can be expanded to 256GB using a microSD in the SIM 2 slot. And also a 6GB RAM. The Oppo R15 Pro with a slightly better battery capacity. A non-removable Li-Po 3400 mAh battery features on the Oppo R15 Pro. While on the Vivo X21 UD is a non-removable Li-lon 3200 mAh battery. Both phone comes with fast battery charging software. The Oppo R15 is sold at about $628 (N219,800). While the Vivo X21 UD is available at around $677 (N236,950). Both phones are quite similar in many ways. The Oppo R15 has better battery capacity and high quality camera and also cheaper than the Vivo X21 UD. Value for your money will be on Oppo R15 Pro.